The Freeform flexible bit extensions offer the same functionality as our standard EXT extensions with the added ability to follow through a much smaller hole diameter (as small as 3/8”) without sacrificing strength or flexibility. The unique 3 set screw configuration insures a secure compression lock. These extensions are ideal for low voltage wire paths that utilize smaller drilled holes with increased speed and efficiency. 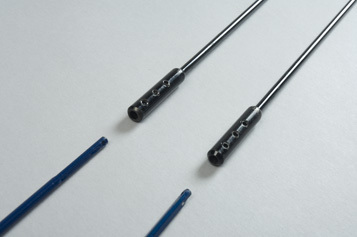 Warning: We do not recommend mixing different diameter shaft sizes when used in conjuction with other extensions.